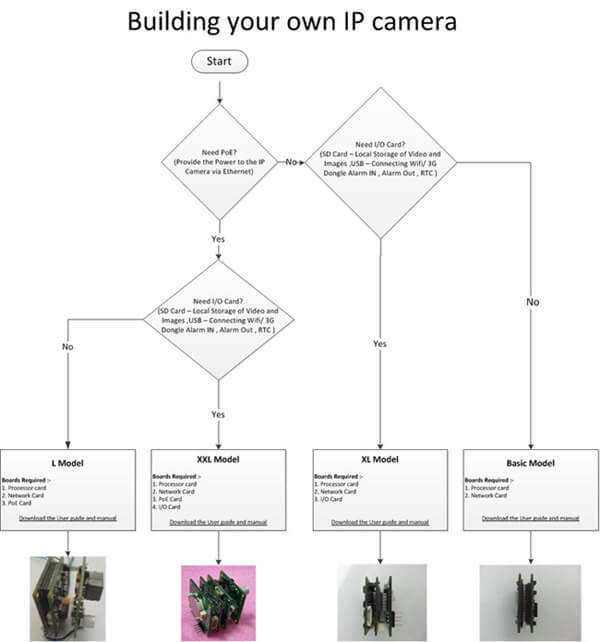 Multiple models of IP cameras based on RadiumBoards DVE PCB and software/firmware suite are already in production. Based on TI's Da-Vinci DM365 platform, this is a very powerful and mature design. 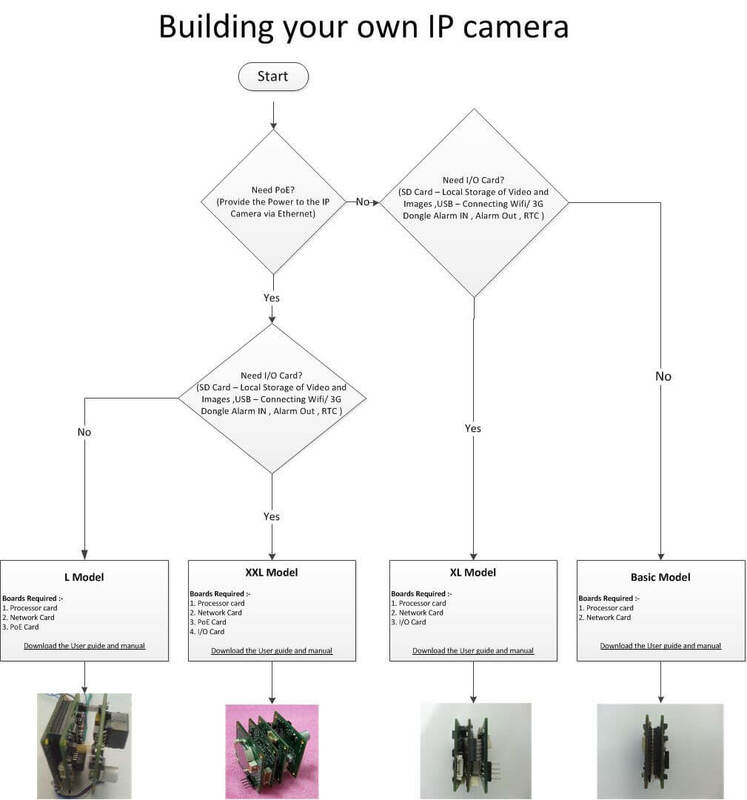 Now you can leverage the same robust and field-tested platform to design your own IP cameras and accelerate time to market. Use the flow-chart below to decide which model (Basic, L, XL, XXL) would suffice your needs and place your request with us. We are very pleased to have worked with this team - they are fully conversant with the TI DSP solutions and have good expertise on developing both hardware and software for these platforms. Taking leverage of such complete product design approach, they have helped us in various designs in Security, Surveillance, Voice and Data end applications and equipments. We highly value their strong technical expertise and excellent support structure for the customers.